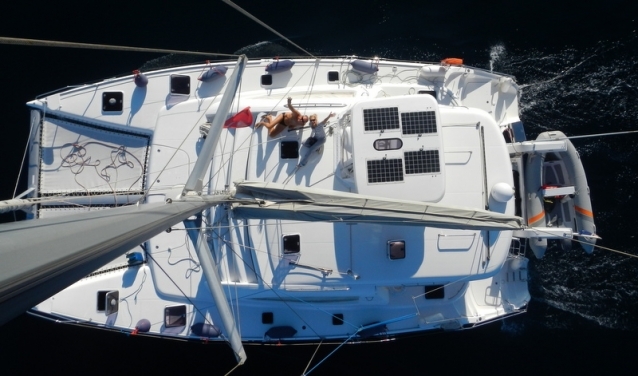 Kos Island … Our last port of call in Greece for this year! We were here 25 years ago. 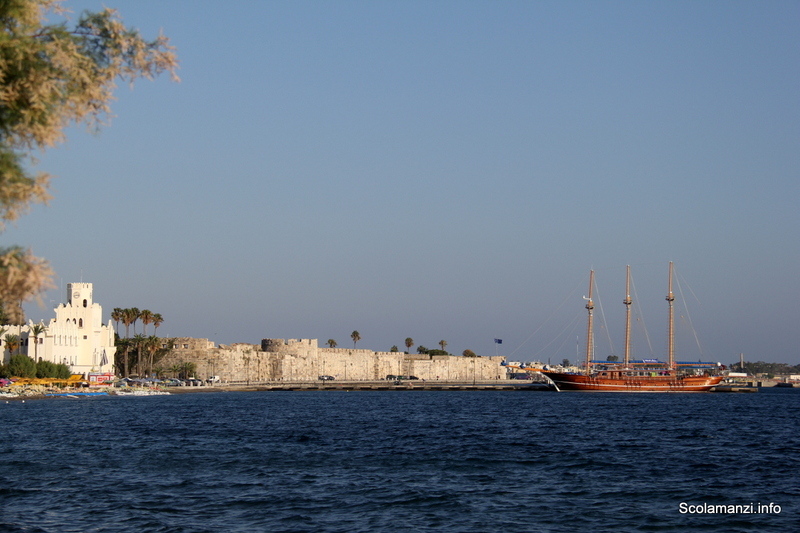 Kos was our last port of call where we had to clear customs before leaving for Bodrum. 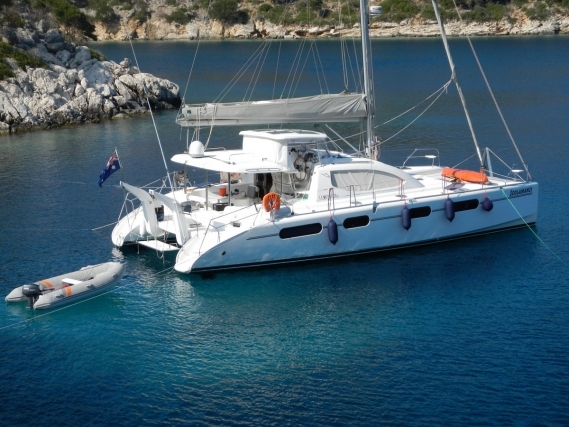 We had to buy our visas in Turkey on arrival where we would have joined the yacht Flyer II! We did not realise it was a public holiday, could therefore not get our visas, had a massive linguistic problem with the Turks to figure out how and when we can get around the problem. The end of the story was that we were deported back to Greece (Kos) with a massive debacle because our passports were stamped to LEAVE Greece, we have been nowhere and are now back in Greece again – about 4 hours later!! Custom officials were all over us, ransacked our bags, and made a big mess of it in the process right on this very same dock in public! Standing on the dock where it all happened, was quite strange … it is something we laughed about retelling the story, but at the time it was pretty frightening and intimidating to say the least (With the movie Midnight Express still fresh in mind, I did not find myself being comfortable to be on the wrong side of the Turkish officials at all!)!! It was also from this same dock, that a Greek fisherman, capable of speaking Turkish, took us with his little fishing boat back to Bodrum to talk to the authorities to obtain temporarily access to Turkish waters (passports confiscated for the time being) until we could get visas on the Monday! As we were getting closer to Kos, the familiar, prominent feature of the imposing medieval 14th century Castle of the Knights of St. John (or the Castle of Neratzia) caught our attention straightaway! 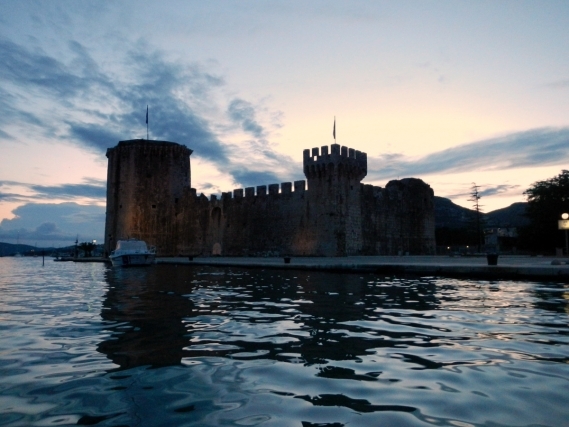 The Castle was built by the Knights of Saint John of Rhodes and it dates back between 1380 and 1514. The entire building is really impressive! The 4 interior circular towers, gun ports, battlements, bastions and a massive drawbridge is quite something to see! The oldest tower on the left of the drawbridge still has the blazons of Gran Master De Milly and Gran Master De Lastic. Two Knights of St John from Rhodes. This castle is connected to the mainland by a bridge that crosses the Palm Tree Avenue, the same one that connects the Castle to the Tree of Hippocrates: A large plane tree under which Hippocrates, the Father of Medicine, allegedly used to teach. It is just across from the Loggia Mosque. The fountain of the mosque bears an Arabic inscription with references to the “Water of Hippocrates”. This plane is at least 500 years old and, according to the tradition, it was planted by Hippocrates himself and he used to teach under its thick shade. (With Hippocrates being at least 1000 years older than the tree, I would like to think that he actually once had a tree there where he started his medical lessons! The tree has become enormous with its crown now at a diameter of about 12 metres (the largest for a plane tree in Europe) – The limbs of the now elderly tree are supported by scaffolding that makes it slightly unsightly, but it is still a wonderful phenomenon that they could keep the tree alive and healthy for over 500 years! I struggle to keep my coriander plant alive for one summer season, so hats off to them! Hippocrates is considered by scientists to be the founder of medicine. He may have been the most important doctor of the ancient times and the best representative of the Medical School of Kos. He was also a profound philosopher and humanitarian. Hippocrates was born in Kos in 460 BC. The town of Kos was founded in 366 BC, in the same area where modern Kos nowadays is to be found. . Kos is famous for its living history through its Architecture that covers all the historical periods from the ancient times till today with monuments and buildings such as The Asclipieion, the Ancient Market, the Baths, the Academy of Music, the Theater, The Casa Romana, the Ancient Temples, the Byzantine castle and churches, the Medieval castles and buildings, the Traditional residential groups. Pre-earthquake Kos was a typical town of the 18th and 19th century, divided in different districts with the town providing separate neighborhoods for Christians, Jews and Muslims. Rich Turkish or Greek families were living in Hora and had a country house outside the city walls. Around 1928 the Italian conquerors started renovating the big public buildings. The disastrous earthquake of 1933 basically flattened the entire city and gave the Italian administration the chance to restructure it into a new modern capital, with all archaeological sites fully integrated in the urban plan. We did not have much time as we have had cleared customs already, and needed to get out of the marina by 12pm! We dashed off to the castle and the tree of Hippocrates and for a quick visit to the ancient city of Kos nearby. The Ancient city was again an awakening experience. We have seen some of the largest columns through our travels of ancient cities! The extent to which the people would have gone to build these amazing detailed buildings. Excavations revealed that Kos had the typical public buildings of a very prosperous Greek City: strong perimeter walls, a fortified port, a great market, theaters, baths and gymnasiums etc. There was only time left to have our last truly Greek Yogurt and Honey buy some fresh bread, feta and milk, and to say goodbye to Mel and Phil (who we sadly did not share much time with during the morning, due to their mission to find accommodation for the next two days before heading back to London.) It was sad to leave, but we have at least fond memories and a hangover to remind us of our fabulous time with the Wintertons!